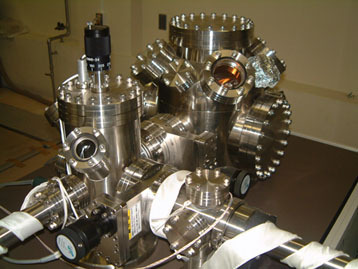 Although the Applied Solid State Physics Laboratory was founded fairly recently, we have already amassed a lot of good equipment. 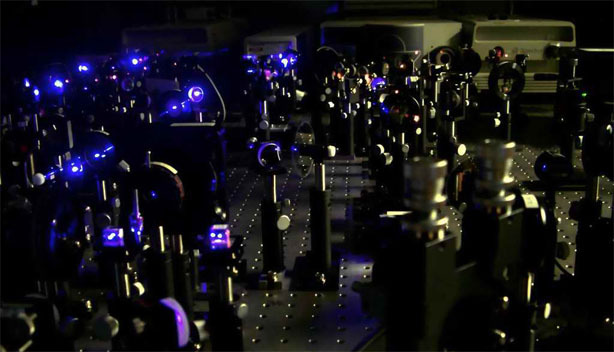 Concerning ultrafast laser measurements, we have four SpectraPhysics Tsunami Ti:sapphire femtosecond and picosecond pulse lasers pumped by Millenia 5 W YAG lasers. 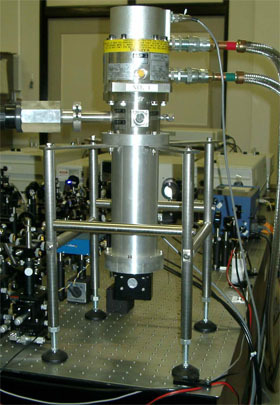 Two of these are coupled together for two-wavelength tunable measurements. We can work in the 720-900 nm region with sub 80 fs pulses. 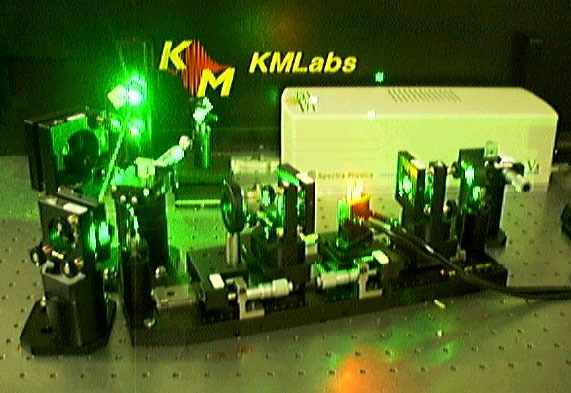 We also have a Kapteyn-Murmane 15 fs laser operating at 790 nm pumped by a Millenia laser for ultrashort timescale studies. 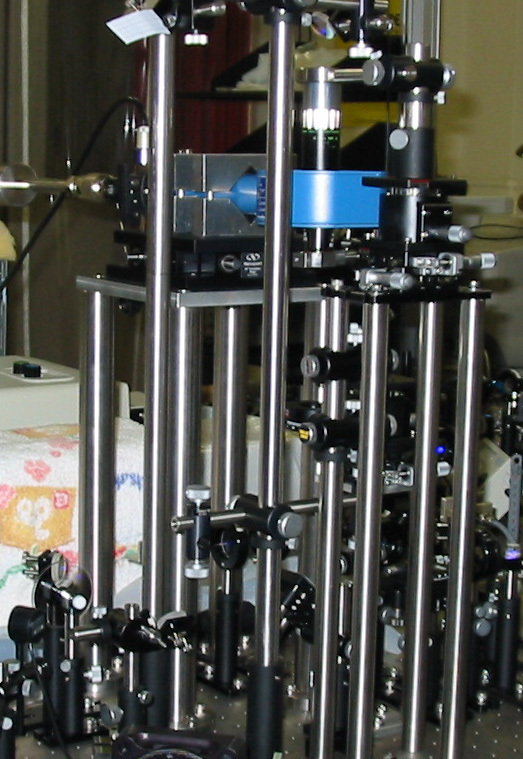 In addition, we have a Coherent Corp. regenerative amplifier system for higher fluence measurements. 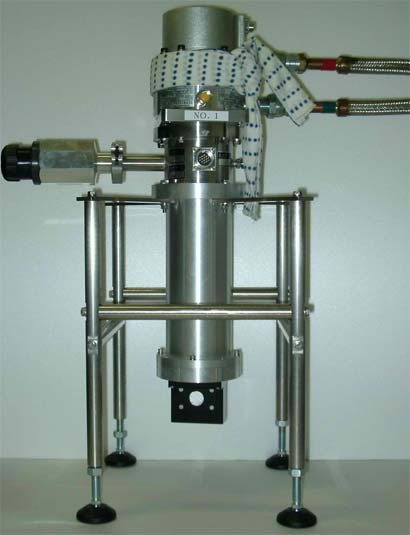 We have one commercial autocorrelator for 80 fs pulses and one home-made autocorrelator for 10 fs pulses. Peripheral equipment is all GPIB compatible (digital oscilloscopes, lock-in amplifiers, function generators). 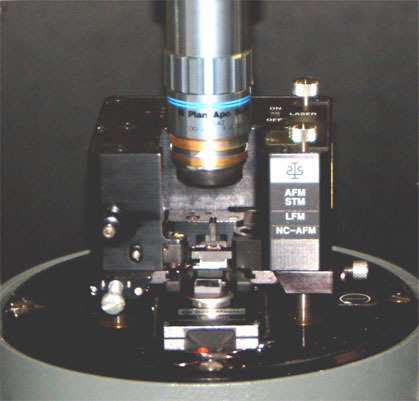 For scanning the delay time we have several programmable delay lines and also two Clark calibrated vibrating mirrors (shakers). 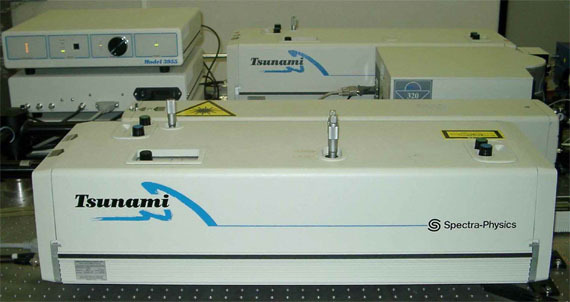 We also have four air-suspension optical benches (the largest being 3.6 m by 1.5 m), a Park STM/SFM system, a Seiko STM/SFM system and a JEOL UHV STM system. We have several up-to-date IBM PC's, some with English systems, and equivalent Macs. We also have two optical cryostats for work down to 4 K. Experimental lab space (excluding offices) consists of two 50 sq. m. rooms + three 25 sq. m rooms. The four rooms with the lasers in are temperature controlled. 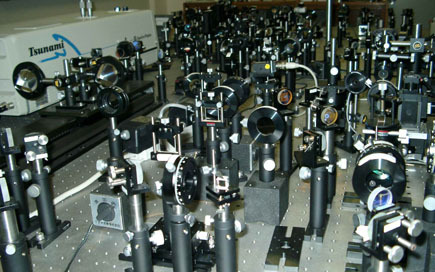 In adjacent labs we have access to equipment for MOVPE, sputtering, evaporation, patterning, dicing, and nanomachining with focussed ion beams. We have many joint research projects with outside groups, as evidenced by our publications with international collaborators. See List of publications. We regularly take postdoctoral researchers from abroad. See Call for postdocs. The campus is spacious and covered in trees. Mountains and skiing are major attractions. There is good beer and seafood. The recent earthquakes in Hokkaido did not hit Sapporo too hard. Phonon researchers here were encouraged by the additional prospects this opened up for studying acoustic wave propagation!